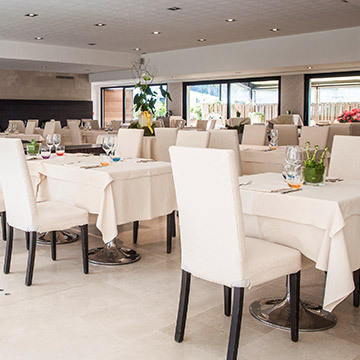 The restaurants are located in the 4 hotels of Terme di Sirmione, the philosophy of which they follow and from which an identity of taste is drawn. Each one offers creative, distinctive cuisine and is open to everyone, not just hotel guests but non-guests as well. 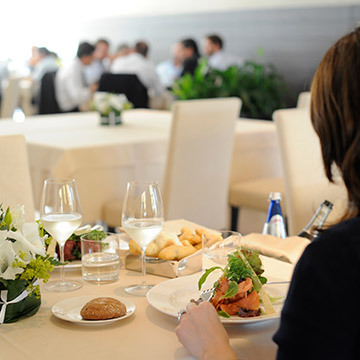 For a complete range of offers in line with the wellness provision without neglecting the pleasures of the table, all the restaurants use fresh, selected ingredients and offer healthy, balanced and tasty menus, created in collaboration with Dr Anna Villarini, a biological nutritionist and researcher of international fame. To communicate this concept in the best possible way, all the dishes on the menu are accompanied by a bubble with a colour that indicts the lightness and recommends how often it should be consumed. 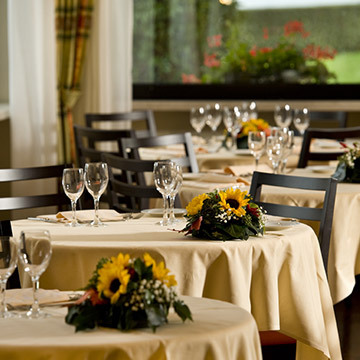 In addition to the à la carte menu, the restaurants offer a personalised service, suitable for every requirement. 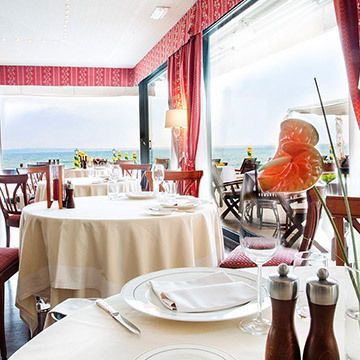 The restaurant of the Hotel Sirmione e Promessi Sposi: pleasing to the eyes and the palate. 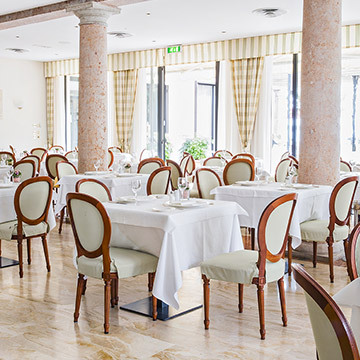 Authentic flavours in a family atmosphere in the restaurant of the Hotel Fonte Boiola.